Welcome Home to this great home. Located in Justice Farms Subdivision! 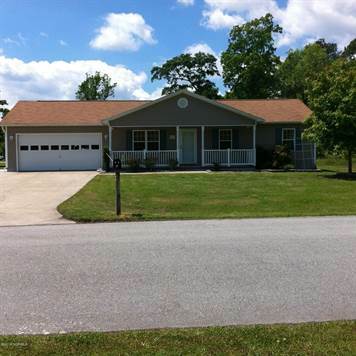 Home has three bedrooms, two baths, a great room/living room, dining area, kitchen, double car garage. Home has recently been painted and updated pictures will be coming soon. The dark brown is now white in the home. Located conveniently close to Stone Bay, Back gate of Camp Lejeune and North Topsail Beach!